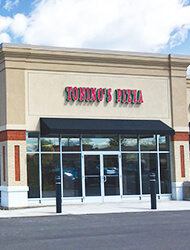 Tonino's Pizza promises the finest ingredients including Grande® mozzarella cheeses; sauces made from imported San Marzano tomatoes and fresh Italian basil; and dough made the traditional way, with no preservatives or additives, using an old family recipe with natural yeast. 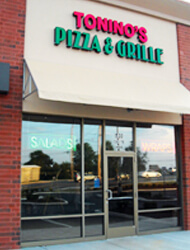 Come try our food... you can TASTE our difference. 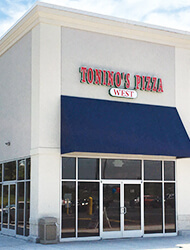 In 1977, Tonino's Pizza was nothing more than a distant dream for Antonio Illiano, a 17-year old Italian immigrant. 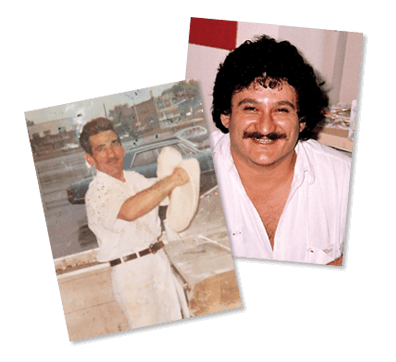 Born in the small town of Fusaro, about 15 miles from the center city of Naples, Tonino ("Little Tony" as he came to be known) grew up learning traditional southern Italian cooking methods from his mother and father, using fresh foods right from the family farm and baking pizzas in their outdoor, wood-fired oven. These delicious family recipes and cooking methods, passed down from generation to generation, are what gives Tonino his passion for good food made with fresh, clean ingredients and pushed him to turn this passion into a successful career. 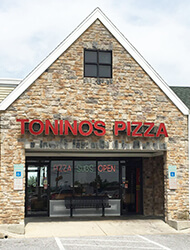 Today, after learning from and watching their father open 19 successful pizza shops over the years, Tonino had been joined by his sons, Josh, Andrew and Tony, to expand the Tonino's Pizza name across central Pennsylvania. Want to learn more about us or have a specific question for us? We'd love to hear from you. Simply complete the form below and someone will be in touch with you soon.